Excellent gift. Good quality and very reasonable prize. 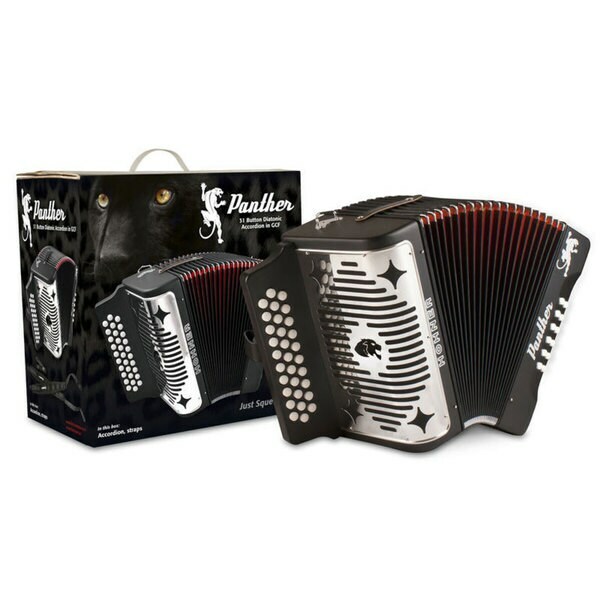 Hohner's Panther shares many of the same quality features as other Hohner three-row diatonic accordions and has double strap brackets.